Our Penrith Sliding Door Repairs are Quick & Easy. Adsafe Doors have repaired and serviced thousands of Aluminium Sliding Doors and Timber Sliding Doors in Sydney. In the Penrith area, we have hundreds of satisfied customers from St Clair to South Penrith and all the way over to Castlereagh. 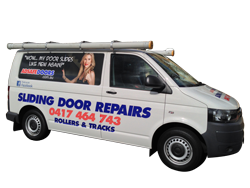 We have been servicing and successfully repairing Sliding Doors in the Penrith region of Sydney since 1992 and are very familiar with the different Sliding Door Brands and conditions for the Penrith region. then we have the materials and parts and the experience to repair your sliding door so that it can be opened & closed easily and quietly. We only use the best replacement parts that are made by Australian companies and follow a strict procedure in the repair process. Our goal is to enable you to be able to open and close the door with one finger and for our repair to last for many years into the future. All our work is quality guaranteed which enables us to be able to guarantee our work to our customers because we use quality parts with a high standard of manufacture and reliability. 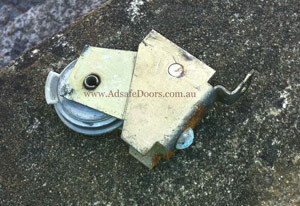 Adsafe Doors has been operating for many years in the Penrith area and have many satisfied customers. We are highly familiar with every brand of aluminium Sliding Door in Sydney because, over many years of successfully repairing hundreds of doors every year, we have consequently developed a tailored repair for every brand of sliding door. Initial phone call to identify the exact door type and issue with your sliding door. A clear quote so you are not left guessing about the price. The fixed panel will be removedif required. We then remove the door. The frame of the door can be dismantled from the Glass if need be. We always replace the worn rollers of your sliding door with better rollers. The sliding door track (runner) can be machined if needed. We fit a stainless steel track cover or a new track. The sliding door will be returned to the frame. We adjust the height and width of the door to the frame so that the edge of the door and frame are parallel. With the lock and strike lined up with each other, we adjust the lock such that the door locks perfectly. Your door will slide better than new because, with more than 20 years experience in Sliding Door repair, we are able to bring a combination of proven quality, and professionalism in Sliding Door Repairs with a proven track record. Many people unknowingly continue to use their door with worn rollers. This damages the track over the years and that results in more damage to the rollers. It’s a vicious cycle. Tyres crack and break while bearings wear which further damages the track. One day with a push of the door in frustration the roller completely collapses making your door impossible to move. Notice the wear on the roller in the image on the right with only one part of the roller left. If your door is just noisy or difficult to move then we would think that it is time for some maintenance. You don’t want what could be minor damage to become worse. Your rollers could be in the same condition or worse as the roller in our image. So please feel free to call us today so that we can discuss and arrange a time to service your door. Please check out the video below as it will help you to understand the way we repair glass and Aluminium Sliding Doors. In the video, we are replacing the rollers in a Clearview Glass and Aluminium Sliding Door and the whole operation can be viewed. The door is impossible to move. The rollers have collapsed, causing the track to become badly damaged. After the new rollers and new track were installed we achieved an excellent result and the door was sliding 100% and locking perfectly. This is the most common type of sliding door repair we encounter in the Penrith district. Give the Adsafe Doors team a call today on 0417 464 743. We’d love to hear what issues you are having with your sliding door. We can then recommend the best solution at the right price.